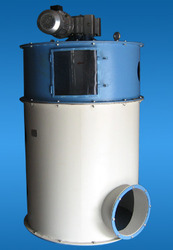 OEM Manufacturer of a wide range of products which include fibre separator compactors and fibre compactors. We specialize in providing Fiber Separator Compactors, which are one of the safest, hygienic and cost-effective solution for storing and managing refuse materials. These are manufactured using quality material as per the industry standards. We also hold expertise in providing garbage compactors, refuse compactors and trash compactors. We specialize in providing Fiber Compactors, which are one of the safest, hygienic and cost-effective solution for storing and managing refuse materials. These are manufactured using quality material as per the industry standards. We also hold expertise in providing garbage compactors, refuse compactors and trash compactors.